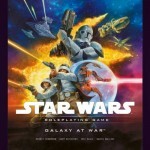 Wizards of the Coast has released the Galaxy at War source book just in time for our Star Wars campaign to plunge into the Mandalorian Wars. 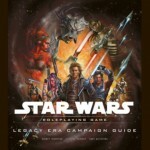 You can read my review of the book at GameCryer.com. It’s a good book, and I’ll so far as to say it’s must-have book for anyone running a war-based campaign. There’s good advice on running such games, a new martial artist prestige class (and a host of feats and talents that go along with it), mini adventures, a short campaign, and my favorite part, a Bases and Battlestations section that’s sure to shave hours off your game prep. 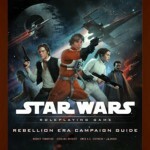 They had to dig through the depths of Star Wars canon to come up with new Rebellion era content, but what I liked most about the book (and what’s seen the most use in my campaign) are the new Background and Species Feats mechanics. 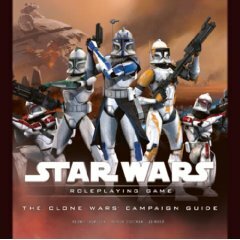 While not directly related to Star Wars, this blog post by campaign member Damon does a good job of why our gaming group ended up playing Saga Edition instead of D&D 4th Edition. Not every Blackrazor agreed with him, but I’d say he speaks for about half the group, and I think even those of us who liked 4E agree with at least some of what he says here.